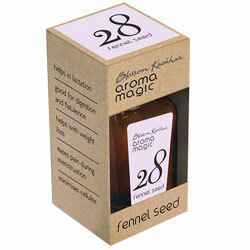 Aromamagic Fennel Seed Oil - Lactation, Good for digestion & flatulence, Weight Loss. Helps with Weight Loss, eases pain during mensuration, minimises cellulite. Good for digestion and flatulence.